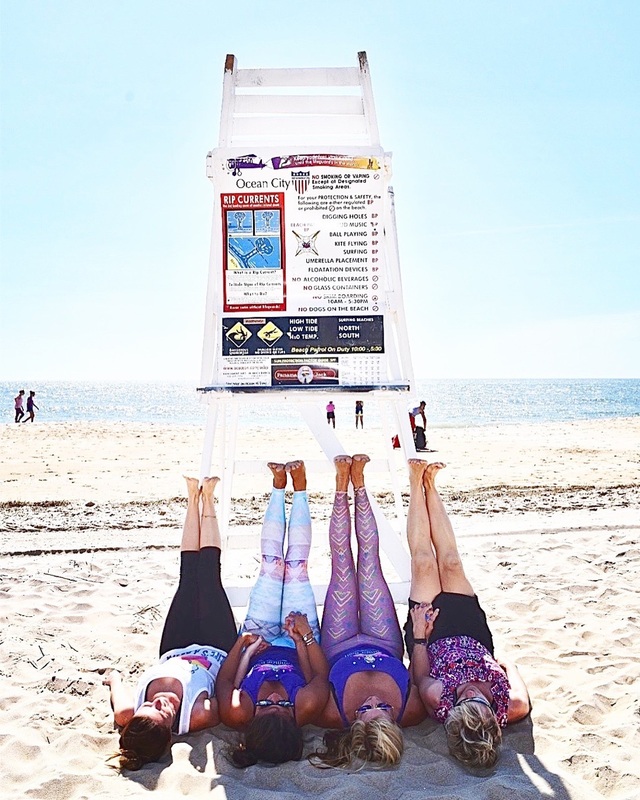 "Yoga on the Beach is right around the corner! Classes begin on May 25th. Scroll down for the schedule!" No reservation needed, just wake up & show up! If you are under 18 years of age, please have a parent or guardian present to sign your waiver. Mother Earth has provided us with the perfect yoga studio; soft, sandy floors, a blue sky ceiling, warm sunshine lighting and cool ocean breezes. Waves crashing, children's laughter and sea gulls chirping is our music. 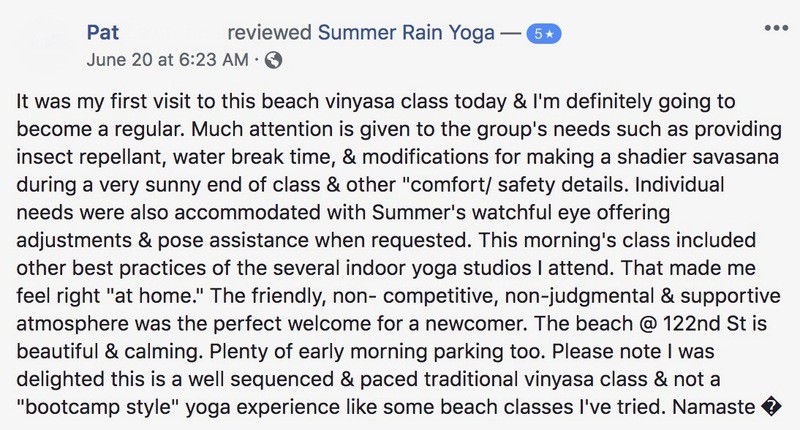 Summer Rain Yoga offers 75 minute Vinyasa style yoga on the beach. You will flow through traditional yoga poses with cueing of breath to movement. Each class is fun and different with a variety of sequences to intrigue our new friends and our seasoned yogis too! We begin class with a brief centering, 10-15 minutes of gentle movement to warm the body, followed by flowing yoga, cool down and a well deserved 10 minute savasana. Classes move at a comfortable pace, allowing you to explore where you can go with poses while embracing that right where you are is where you need to be. Yoga on the Beach is appropriate for Every BODY; 8-80+. The 1st step to enlightenment is to WAKE UP & DO YOGA! See Ya On The Beach.